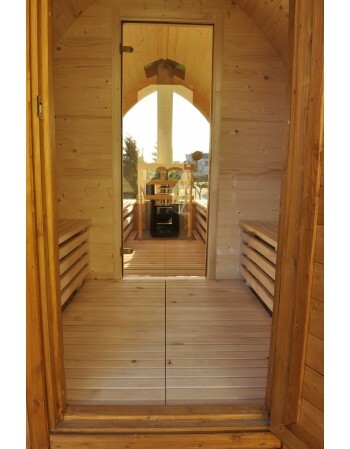 Panoramic window could be intalled into outdoor sauna wall. 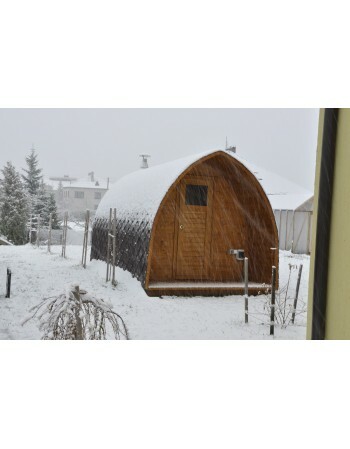 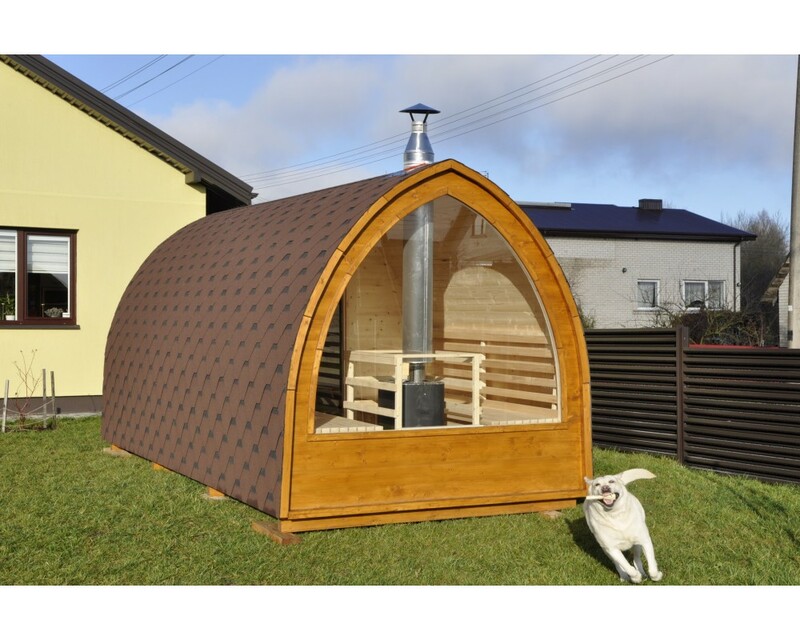 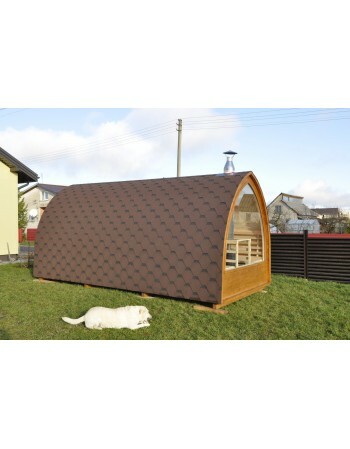 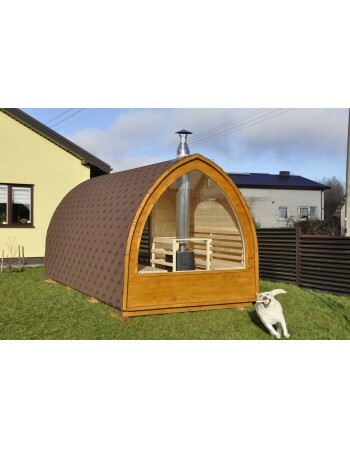 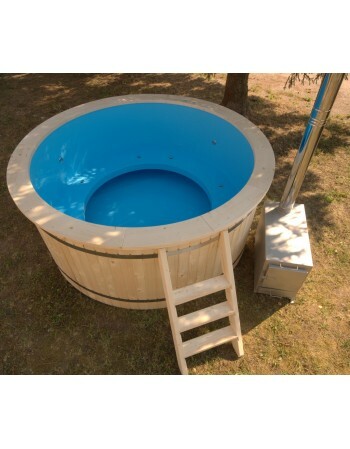 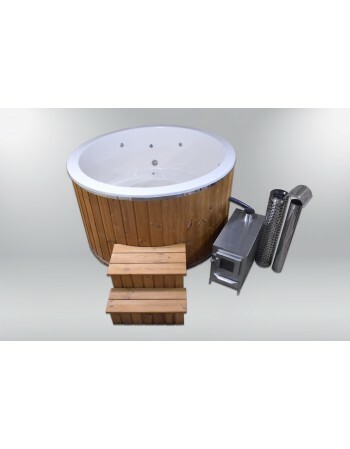 Big hot tub with plastic liner and wood decoration 220 cm internal diameter. 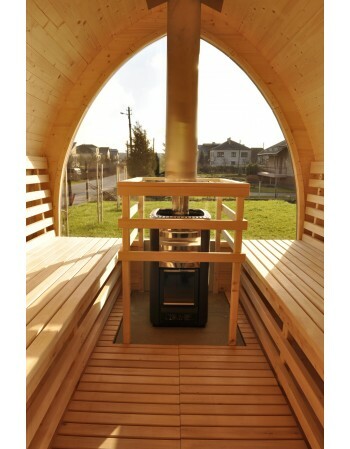 Outdoor hot tub with integrated hard fuel stove. 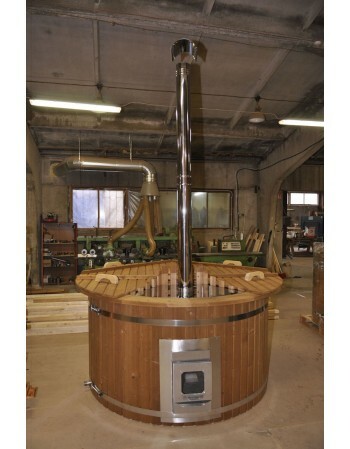 Wooden hot tub is like wooden SPA in garden. 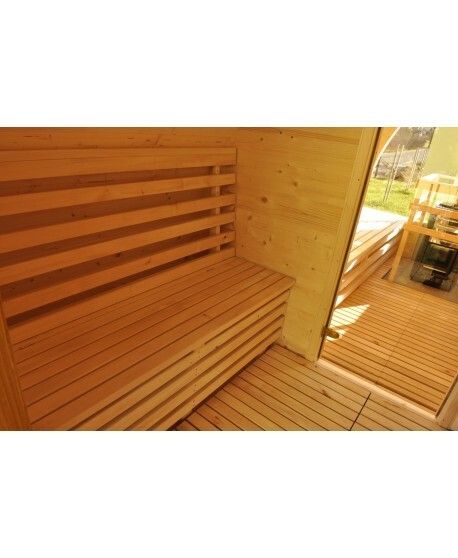 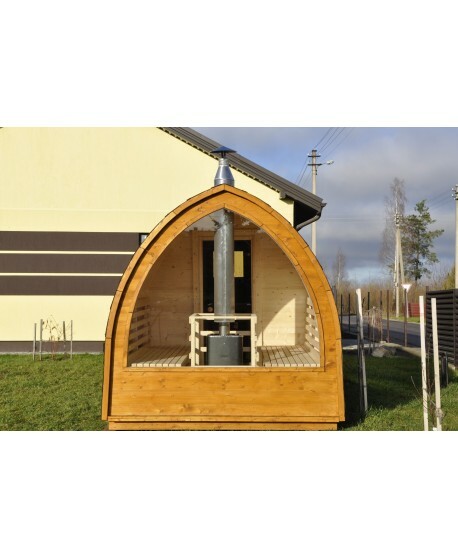 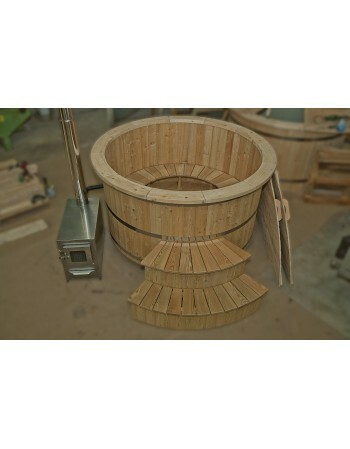 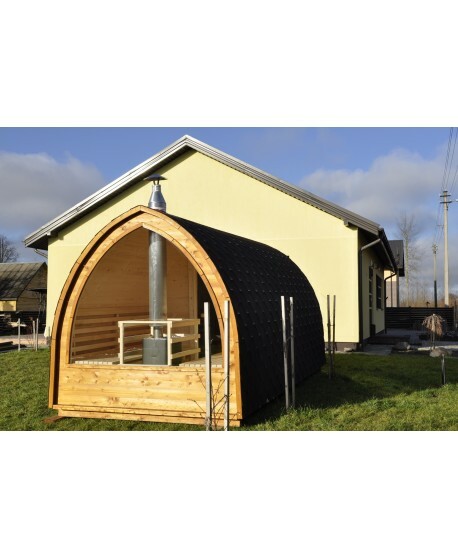 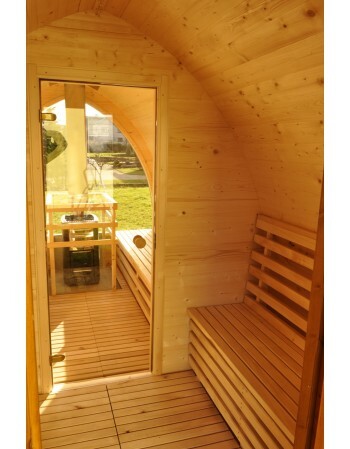 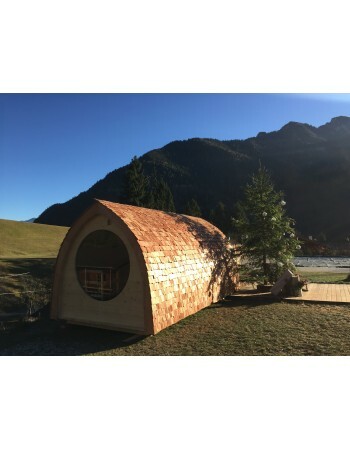 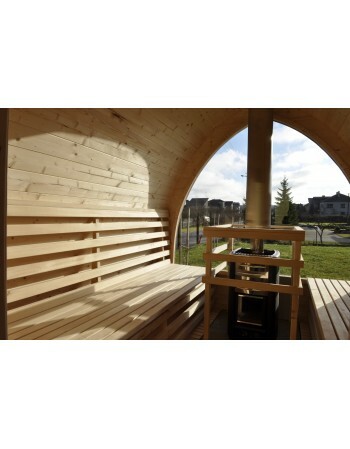 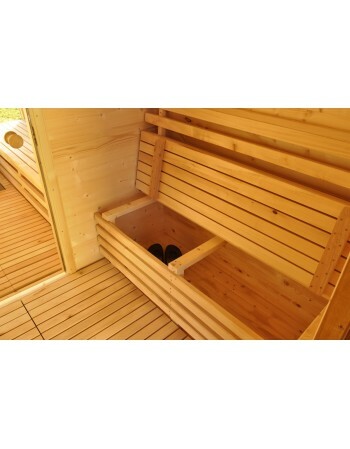 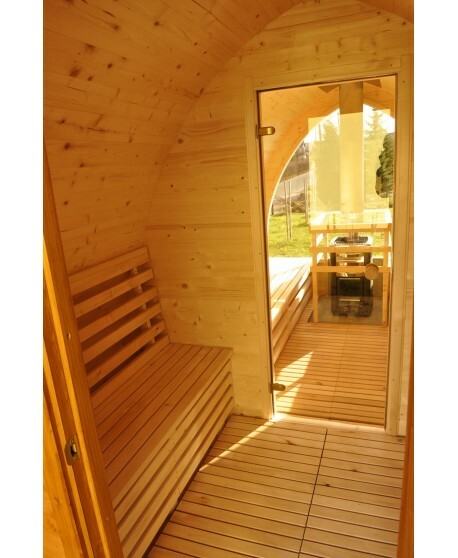 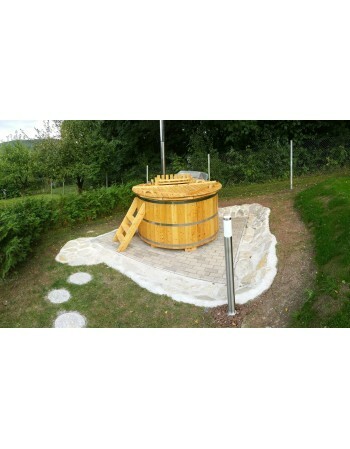 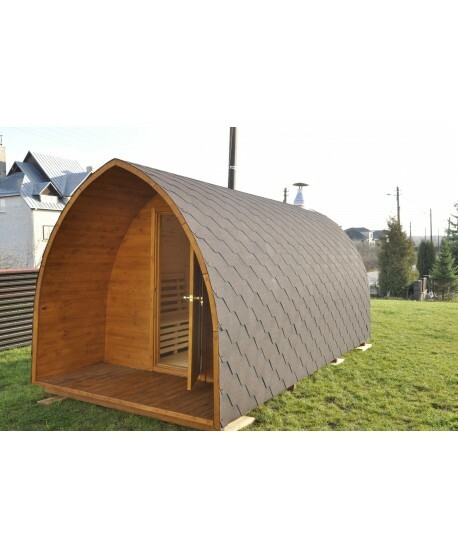 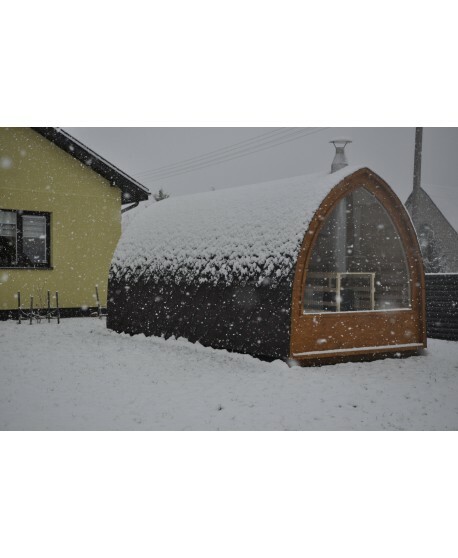 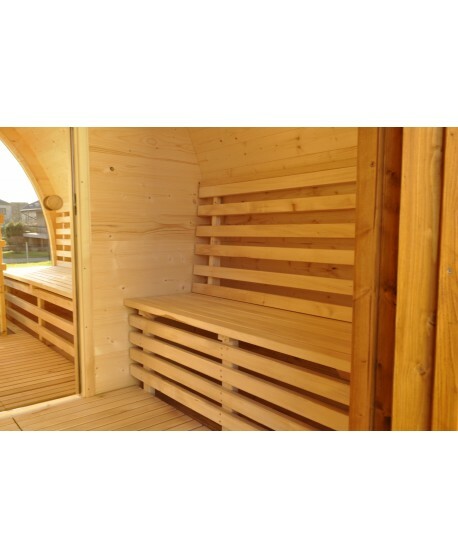 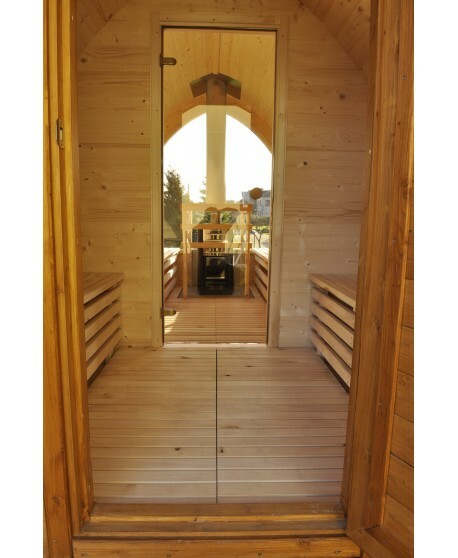 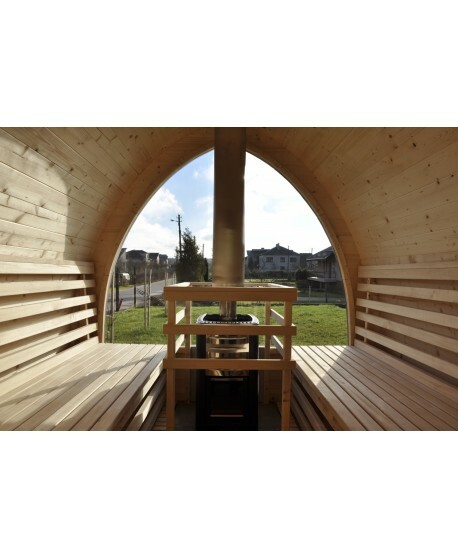 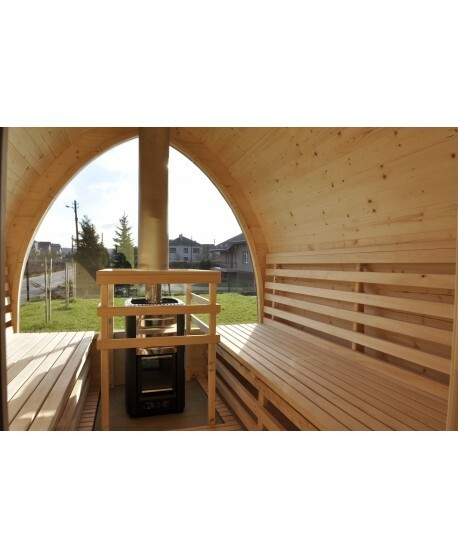 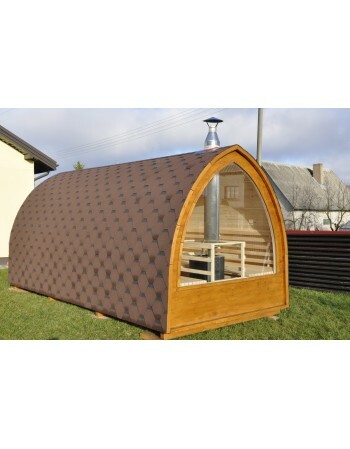 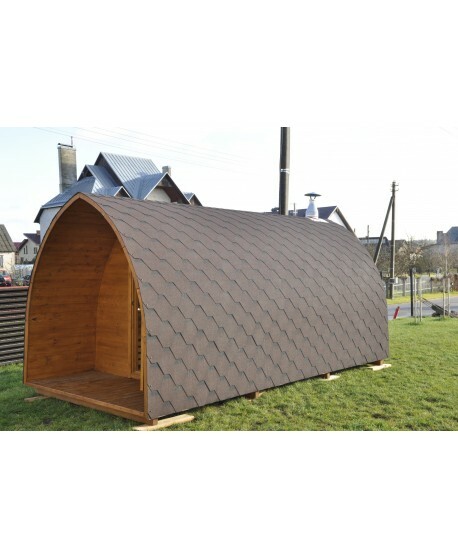 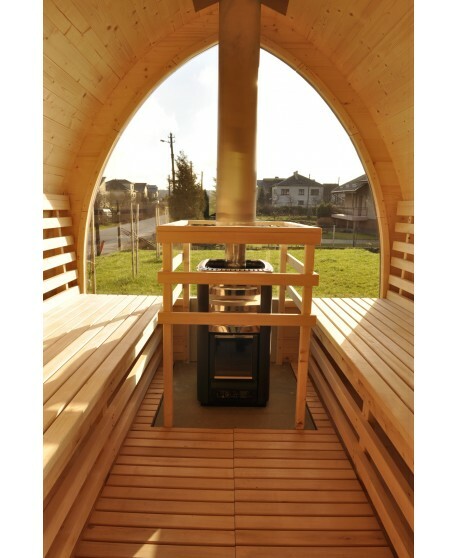 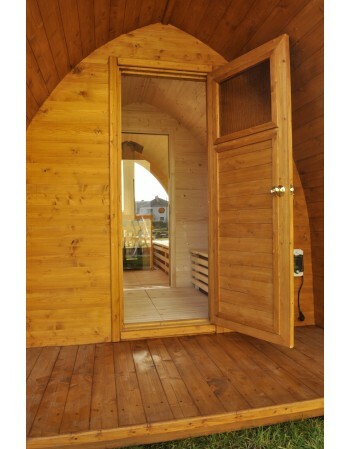 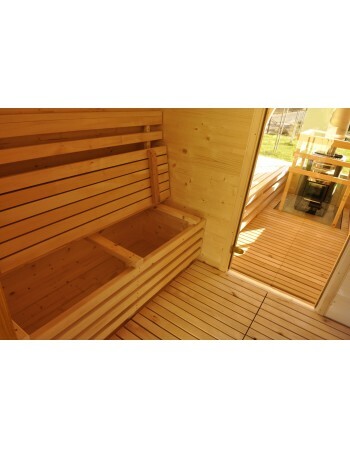 Wooden hot tubs are made of natural larch wood. 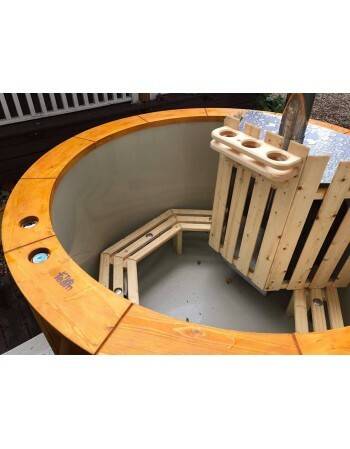 2018 bestseller hot tub model + Barbecue for half price! 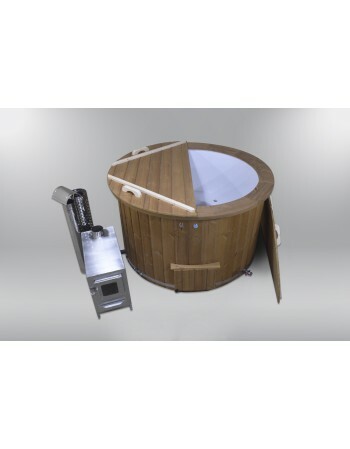 2018 bestseller hot tub model + hard fuel grill barbecue FLAMEBLISS for half price! 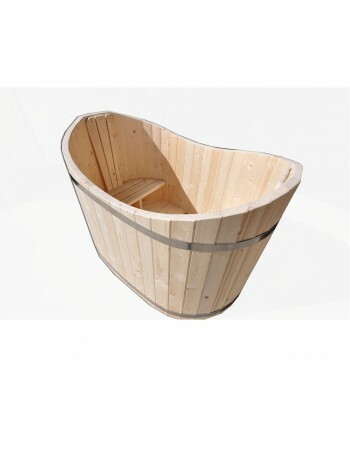 wooden ofuro tub is for 1 person for cold water. 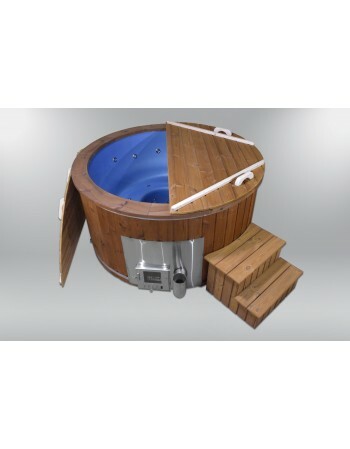 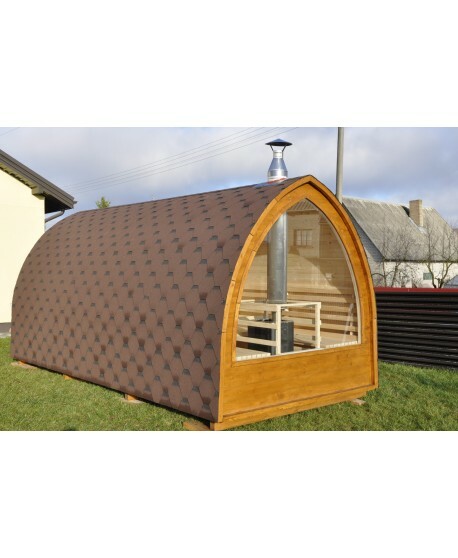 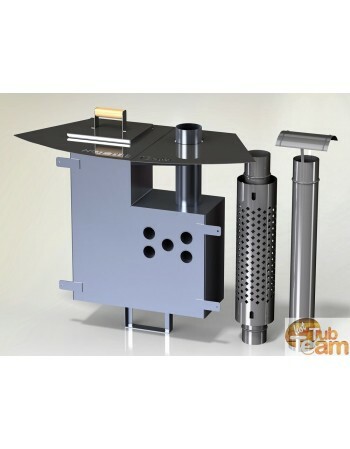 Wood fired hot tub with fiberglass lined has also fiberglass civer for hot tub. 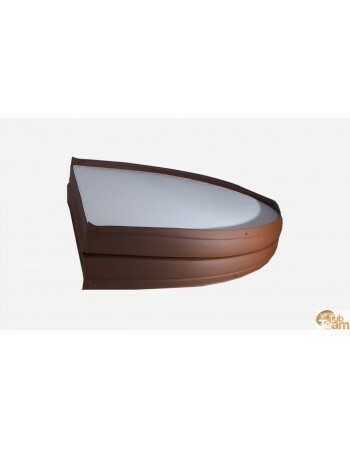 Leather lid for hot tub basis form by three layers.